Welcome to the new Website of Parents Against Injustice, this site is for PAIN Clients,to share their stories, regarding Social Services. Here is a recent article in the Times - the most important newspaper in legal circles. It makes some salient points and reaffirms Brendan Fleming's excellent reputation in Family Law. If we cut legal aid, do families not bleed? Two days ago, the parents of three children won the right to name the local authority that had tried three times to take those children into care before admitting that it lacked the evidence to support its claims. Coventry City Council landed taxpayers with a £400,000 bill, which Judge Clifford Bellamy, sitting in the High Court, said was a “matter of concern” when the “children were happy, settled and, within the bounds of what is possible in the confines of their overcrowded home, well cared for”. On the day that the High Court is due to rule on a last-ditch attempt to save the legal aid contracts of 1,100 family law firms, this is a story that shows just how much we need legal aid and how it can be abused. In 2002, after the couple's second child was born prematurely, Coventry council was contacted by a health worker who was worried that the family were over-using medical services and subjecting the children to unnecessary hospital admissions. This immediately triggered suspicions of “fabricated illness”, a condition in which parents exaggerate children’s medical symptoms. The suggestion was that the parents were more worried than was normal about their premature baby. His name was placed on the at-risk register under the category of emotional abuse. Yet the parents ' attitude was not entirely surprising. One child suffers from serious visual and co-ordination difficulties. One had a hernia and a haematoma, and was almost killed by an overdose of morphine wrongly administered by a nurse. Their GP said he did not view their visits as excessive. A more relevant concern was perhaps that the house owned by this family is clearly too small for them. The council worried that the house was chaotic and untidy and that the family were in debt. What they needed was support. What they got was, they felt, harassment. The council repeatedly noted that they showed a “marked failure” to engage with social services, and that the children did not have a relationship with their paternal grandparents. “We are still looking over our shoulder”, the mother told me yesterday. The case against these parents rolled on through the system, gathering more and more nonsense on the way. In the High Court, Judge Bellamy found that social workers had relied on one medical report, compiled for them by an expert, without properly challenging that expert, and without considering the children’s genuine health problems. Only one health professional had ever expressed a concern about fabricated illness six years before the case was brought. Judge Bellamy ordered Coventry council to pay 100,000 towards the parents' court costs, and has allowed it to be named although the council racked up more public funds resisting this, claiming that “this family could now be identified in their community, and this could cause them harm”. The family wanted the council to be named. They want accountability. They want an apology. The parents were lucky to have a good legal aid solicitor. For most of the case, they and their solicitor stood alone against the council, the guardian ad litem and the children’s solicitor. Their team had to read through 4,500 pages of health and social work records presented by the council an outrageous burden. Far from having his nose in the trough, Brendan Fleming, who acted for the parents, made representations to the court that the medical report was excessively long and wastefully expensive. The question is now how many solicitors will continue to be able to do such work. This afternoon the High Court is expected to rule on whether the Legal Services Commission LSC) acted lawfully in awarding new legal aid contracts to only 1,300 of 2,400 family law firms. These contracts were due to start tomorrow but have been suspended until November, pending the outcome of the Law Society's judicial review. The LSC says that its aim is not to cut the budget, simply to allocate the same amount of legal aid between fewer high-quality firms. But there is widespread concern that some experienced childcare lawyers have been left off the list in favour of others that charge knockdown prices. I have watched both at work, over the years. I know whom I would prefer to have on my side in navigating the very complex family justice system. I find talking to lawyers about legal aid a bit like talking to advocates of the international baccalaureate. The top-line argument is easy to grasp, but the detail quickly becomes opaque. Every change that has been made to legal aid has brought apocalyptic predictions from the legal profession. The introduction of fixed fees two and a half years ago, for example, does not seem to have led to the disastrous short cuts that were predicted. But I suspect that, just as the lawyers have shouted themselves hoarse, we maybe now at a genuine tipping point. As the Government undertakes yet another legal aid review, there is clearly a risk of cutting to the point where some people who need legal aid are denied it or that it becomes, increasingly, a trainee solicitor acting in the Crown Court without supervision. Money is tight. Kenneth Clarke's Ministry of Justice must deliver 2 billion of cuts from its 9 billion budget. The legal aid budget is 2 billion and rising inexorably. Far too many cases seem to come to court that should be settled outside particularly divorces and custody battles in which one parent is using the children as pawns to fight the other. Yet the family justice system is in a terrible state. Cafcass, the organisation that is supposed to provide children 's guardians to the courts seems to be in meltdown. Cases are delayed, waiting for guardians, which can only harm children whose parents really are a danger. Social workers are overwhelmed. If lawyers start to take short cuts then the risk of wrongly removing a child, or wrongly leaving one, can only rise. Coventry council treated the legal aid budget, quite wrongly, as a limitless pot to pursue a traumatised family. Yet that family could not have defended itself without legal aid used wisely by a good lawyer. The Government has no duty to bankroll solicitors. But it needs to tread carefully to make sure that it does not deny access to justice. Camilla Cavendish was named Campaigning Journalist of the Year 2009 for her work in exposing miscarriages of justice, which convinced the Government to open the family courts to the media in April 2009. Social workers display an astonishing contempt for the High Court. One of many things to surprise me, as I have investigated the nightmarish underworld of our “child protection” system, has been the contemptuous way in which our social workers seem so willing to disobey the orders of judges. This is the third week running when I have had to report on an order given by Mr Justice Bodey in the High Court on May 21, that Norfolk social workers must, “as soon as practicable”, return to France a baby born in France to an English couple who last year settled there. These council officials had spent nearly £20,000 of taxpayers’ money travelling to France to seize the baby, on the argument that it was “habitually resident” in England, even though it had never lived here. Judge Bodey rejected their bizarre argument, ruling that the English courts had no jurisdiction over the child. He discharged the orders made by a lower court and ruled that the child must be returned to France no later than June 1. The social workers at first said they could not meet this deadline, because the baby didn’t have a passport (though that had not prevented them from bringing it to England in the first place). A stream of emails from the lawyers representing the distraught mother were ignored, until finally the council was threatened with further legal proceedings and the social workers agreed to return the child to France. But now they say they cannot do so until June 15 because one of them is on holiday. It is truly remarkable that, while some 200 mothers a year are imprisoned for “contempt of court”, for breaching orders made by judges in family cases, when social workers similarly show contempt for court orders, they and the councils they work for seem to believe they can do so with impunity. At least in this case, the family has won their baby back. Two parallel stories last week highlighted what has become one of the most bizarre features of our “child protection” system – the fanatical determination of our social workers to track down mothers who have fled overseas to escape their clutches, and bring their children back to “care” in England. On March 22, I reported, in anonymised form, the case of Joe Ollis and Marie Black, who escaped to start a new life at his mother’s home in France, so that they could keep the child they were expecting. Norfolk social workers had threatened to seize the baby as soon as it was born, because of the mother’s domestic problems in a previous relationship. 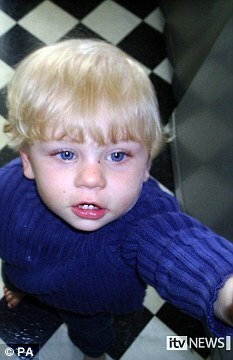 The social workers were authorised by a court to go to France (at a cost of £8,000) and bring the baby back to England. Fortunately, at a later hearing, a French journalist, who had been following this unhappy story, ran into Brendan Fleming outside the court. He is the one solicitor who has won a reputation for fighting the manifold abuses and injustices of this crazily corrupted system. He took on the case and challenged the judge’s ruling in the High Court. It appeared to have been in breach of EU law (“Brussels II” as it is known). It had also breached the famous “Hedley judgment”, by ruling that a baby born in France could be considered as having had “habitual residence” in England – even though it had never been here. is why I can now name the parents and the local authority). The social workers, I gather, have tried to protest that this is a problem, because the baby hasn’t got a passport – though this didn’t stand in the way of their bringing the child to England in the first place. But an important principle of law has been upheld, and a dreadful injustice is on the way to being reversed. How ironic that, in the same week, Welsh social workers seemed just as determined to track down another couple, who recently escaped to Spain to avoid their child being seized at birth, because of incidents involving the mother’s previous partner. On Thursday, after a court had placed orders on the child, even though it was born in Spain, a social worker led a team of six policemen round the homes of the mother’s divorced mother, father and sister, threatening them with prison if they did not reveal the couple’s whereabouts. At the direction of the social worker, all three homes, I gather, were searched from top to bottom. The child’s grandmother and grandfather were separately arrested and held in custody for several hours before being released without charge. The police also confiscated parcels due to be delivered by the grandmother as part of her job, refusing to give them back. I hope that this second awful case can also be taken on by the doughty Brendan Fleming, who for so many parents has become a shining light in the nightmare world in which they find themselves. There were contrasting outcomes last week to two of the stories I have been reporting involving parents whose children were removed from them by our family courts. In France there were tears of joy when Marie Black and Joe Ollis were reunited with their baby daughter Luna, born in France in February but then seized by Norfolk social workers, to be brought back to England to live in foster care. Although this action had been sanctioned by a British court, a High Court judge ruled in May that the seizure was illegal, because Luna was born in France and was therefore outside UK jurisdiction. Rather less happy was the outcome of the Court of Appeal hearing on Wednesday at which, as I reported last week, the former racehorse trainer Vicky Haigh awaited a response to her appeal against a three-year prison sentence for breaching a “non-molestation order”. The order had prohibited any further contact with the daughter whom Miss Haigh had lived with for the first seven years of the girl’s life. The breach occurred when she walked by chance into a petrol station and saw her daughter sitting alone in her ex-husband’s car. She opened the door to speak to her, the girl’s father came back, and there followed a brief, heated exchange, lasting under a minute. For this, Miss Haigh received the longest sentence, by far, ever handed down for any breach of such an order, even those involving physical violence. Only allowed to observe Wednesday’s hearing via a video link to her prison in Yorkshire, she heard allegations that she had been planning to kidnap her daughter (for which no evidence has ever been produced), and reference to a very hostile judgment on her case made last year by Lord Justice Wall, head of the family courts, which he ordered to be published. The judges agreed to reduce her sentence by nine months, the most they could consider without allowing her, under the rules, to be freed immediately. John Hemming MP, who has followed her case closely, described her unprecedented sentence as “ridiculously harsh for what was a minor technical breach of a court order”. That same morning, one newspaper reported that a woman who had a long record of criminal violence and had been found guilty of breaking a champagne bottle over one man’s head, then using it to stab another, walked free from court with a suspended 12-month sentence. The report was headlined “What does it take to be jailed?” The answer may lie , Mr Hemming suggests, more in the fact that Miss Haigh has been outspokenly critical of the failings of our family court system than in that brief encounter in a petrol station. Little Luna is home at last — reunited with her parents at the end of an historic legal battle against British social workers which began when Marie became pregnant and moved to France from her home in Norfolk. Soon after Luna was born in February, social workers from Norfolk snatched her from her family, flew her to Britain, put her into the care of foster parents and began making plans to have her adopted. They had accused Marie of putting Luna ‘at risk’ of harm by keeping in touch with her violent estranged husband, who is not baby Luna’s father and who had previously been jailed for assault. It is an allegation 31-year-old Marie strenuously denies, saying she never wants to see the man again. But social workers spent up to £250,000 of taxpayers’ money in court and legal fees to try to prove their case. It is believed to be the first time British social workers have snatched a baby born abroad from its parents — a baby who had never set foot in Britain — and brought it back to this country for adoption. For 12 weeks, Joe and Marie were allowed to see and speak to their daughter just three times, and only then via video calls to Luna’s foster family on internet phone system Skype. Then in a landmark decision, the High Court in London ruled Norfolk social services’ actions were illegal. Because Luna was born in France and her parents had a permanent home there, she was outside England’s jurisdiction. Marie said this week at their home near Cahors in south-west France: ‘We were so excited. Luna went to sleep that first night back with us as though she had never been away. The couple now plan to seek compensation from Norfolk social services for unnecessarily separating them from their baby. Social workers are under immense pressure not to make a mistake following the Baby P case in London in 2007. He died after suffering many injuries despite being seen by Haringey social services and NHS doctors. This has led to a big increase in the number of children taken into care — mostly against their parents’ wishes. Meanwhile, there has growing criticism of the accuracy of evidence given by psychological ‘experts’ in the family courts and a growing mistrust in social services. As a result, increasing numbers of parents under investigation have fled abroad, worried their children will be forcibly removed from them by social workers. It is estimated that there are now at least 300 families living overseas for this reason, in countries such as Ireland, Cyprus, Spain, Italy and France, where the social services try to keep troubled families together rather than taking their sons or daughters away. Marie and Joe have certainly had turbulent personal lives, though they are intelligent and obviously very much in love. They met at school in Norwich at 14, and had a relationship for five years. Joe ended up working in Rugby as a builder, but returned to Norwich after he fell out with his girlfriend and was homeless. In the meantime, Marie had married young and had five children by her abusive husband before fleeing his violence. At one stage, she lived with her children in a hostel for abused women. But when this proved difficult, she asked social services for help. They took the children into temporary care, and have refused to return them (we have hidden Marie’s face here to protect her other children’s identities). Social services accused her of secretly keeping in touch with her husband, putting her children, including Luna, at risk of violence. Marie insists her only contact with her ex-partner came when she was living in the hostel and, in desperation, asked for his help in transporting her children to and from their schools. She bitterly regrets this. ‘I am the last person who would want to see my husband — particularly as I repeatedly reported him to the police,’ she said. Joe and Marie then embarked on a fresh relationship after becoming Facebook friends. They set up home together, and last summer Marie became pregnant. During one of the family court cases over her other children, Norwich social services learned she was expecting — and warned Marie her baby would be taken into care and prepared for adoption. The couple were horrified. They were already planning a new life in France, where they could share a house with Joe’s mother in the village of Frayssinet-le-Gelat, near Cahors, where she has lived and worked as a landscape gardener for ten years. Last November, when Marie was 20 weeks’ pregnant, they left Britain. ‘We needed a fresh start, but we did not run away,’ insisted Joe. In France, he started work as a general builder. But ten days after Luna’s birth in hospital, a letter was left in their postbox by a courier from Norfolk social services, saying they planned to put Luna into care in England. The couple wrote back to Norfolk social services saying they were not going to cooperate in an ‘illegal kidnapping’. But by early March, social services in France had been contacted by Norwich social workers. Joe and Marie were invited to meet a female judge and local social workers in a Cahors court house to discuss their baby’s future. At the end of the meeting, the judge said that until matters were ironed out, Luna must go into the care of a French social services. ‘We left without Luna and I cried all the way home,’ Marie said. However, on Friday, March 23, matters changed for the worse. At the end of a visit to Luna, Joe noticed gendarmes outside the centre as two English social workers walked inside to take six-week-old Luna to Britain. ‘We were cuddling Luna, and even the male French social worker in charge of our case was welling up,’ said Joe. That was the last they were to see of their daughter — apart from three Skype sessions — for the best part of three months. It was then that their English solicitor, Brendan Fleming, advised Joe and Marie to ask the High Court in London for an urgent ruling on their case. The couple flew to England for the May hearing, when a judge told Norfolk social services that France, not England, had jurisdiction over the baby. In mid-June, Luna was returned to her French foster mother, while social services in France looked into their case. And finally, Marie and Joe were exonerated. Two weeks ago, the couple got the news they longed to hear. ‘You can take your baby home,’ said a judge at a hearing in Cahors. ‘We walked out into the street cuddling and kissing our daughter,’ said Joe. The boy, who cannot be named, was taken away from his parents and was poised to be adopted after multiple broken bones were put down to child abuse. But Lord Justice McFarlane halted the process yesterday after hearing how an extraordinary combination of medical events could have led to a case of congenital rickets being overlooked. The parents, who have fought a three-year custody battle, have been given a final chance to get their son back. It came after lawyers had what they described as a "light bulb moment" and understood the full significance of the child's medical records. Michael Shrimpton, for the family, who are from the north of England, told the Court of Appeal in London that there is evidence that the boy was born with a Vitamin D deficiency, inherited from his mother, leading to "soft bones" and rickets. It suggests that the broken bones could have occurred during his difficult forceps birth, or even in the womb. Blood tests to check for signs of vitamin deficiency, when the boy was four weeks old were normal. But the court heard hat it is possible that it was "masked" by the formula milk given to him by his mother – which contained Vitamin D supplements. He added that there was "striking" evidence of severe abnormalities in the functioning of the baby boy's liver, an organ instrumental in processing Vitamin D.
The judge temporarily halted the adoption process and ordered urgent medical reports. Having a child taken away is an “exceptionally awful” ordeal, he remarked, adding that it was essential to examine whether the Vitamin D deficiency explanation for the boy's injuries was "more than an intellectual possibility". He also noted that there was no evidence of emotional difficulties, domestic violence, alcohol or drug abuse, or any signs of dysfunction within the family, to indicate a risk of child abuse. Mr Shrimpton said that one of the country's top endocrinologists, Professor Stephen Nussey, who has carried out pioneering work on the causes and effects of Vitamin D deficiency, will be instructed to carry out that task if he is available at short notice. Observing that medical knowledge on the causes of infant injuries is in a state of constant movement, the barrister added: "This is an important case. It is starting to take on the appearance of a leading test case". After hearing expert evidence in June last year, a judge at Sheffield High Court ruled that one or other of the parents must have been responsible for the baby's injuries. The same judge refused to change her mind earlier this year and freed the boy for adoption. However, Lord Justice McFarlane observed: "Medical knowledge of how some children may have bones that are more susceptible to injury than normal children has moved on". Emphasising the extreme urgency of the case in light of plans for the boy's imminent adoption, the judge gave the parents 28 days to obtain a report from Professor Nussey, or another expert, in support of their case. The local authority involved in the case had informed the Appeal Court that suitable adoptive parents have already been found for the boy but no further steps in the process would be taken prior to the court ruling on the case. The case will return to the Appeal Court once the expert medical report has been obtained. “No application for a further hearing has yet been made by Brendan Fleming Solicitors; this is because no legal funding is likely to be made available to us. We regard this case as so important that we are willing to work on it for no fee; but to defray the remaining costs we are setting up a ‘fighting fund,’ which we hope will allow the case to proceed as soon as possible. The strength of feeling and sympathy for her and the view of the public that she should be reunited with her baby and offers of assistance is something I have not experienced before in undertaking family cases. I am truly grateful to everyone and so is the mother. Those who wish to assist us to fight the case of Ms Pacchieri by donating toward the fighting fund may do so by e-mailing info@brendanfleming.co.uk. Sign up to chat on Parents Against Injustice. Created by Alison J Stevens May 26, 2018 at 7:56pm. Last updated by Alison J Stevens May 26, 2018. Created by Alison J Stevens May 26, 2018 at 4:35pm. Last updated by Alison J Stevens May 26, 2018. Created by Alison J Stevens May 29, 2011 at 4:21pm. Last updated by Alison J Stevens Nov 14, 2012. Created by Alison J Stevens Mar 19, 2012 at 6:38pm. Last updated by Alison J Stevens Apr 18, 2012. Created by Alison J Stevens Sep 5, 2009 at 9:36pm. Last updated by Alison J Stevens Apr 4, 2012. Created by Alison J Stevens Jun 22, 2011 at 10:29pm. Last updated by Alison J Stevens Jun 22, 2011. Created by Alison J Stevens May 29, 2011 at 4:23pm. Last updated by Alison J Stevens Jun 16, 2011. Created by Alison J Stevens Jun 4, 2011 at 7:05pm. Last updated by Alison J Stevens Jun 4, 2011. Created by Alison J Stevens May 29, 2011 at 4:19pm. Last updated by Alison J Stevens May 29, 2011. Created by Alison J Stevens May 29, 2011 at 4:18pm. Last updated by Alison J Stevens May 29, 2011.